Looks can be deceiving. 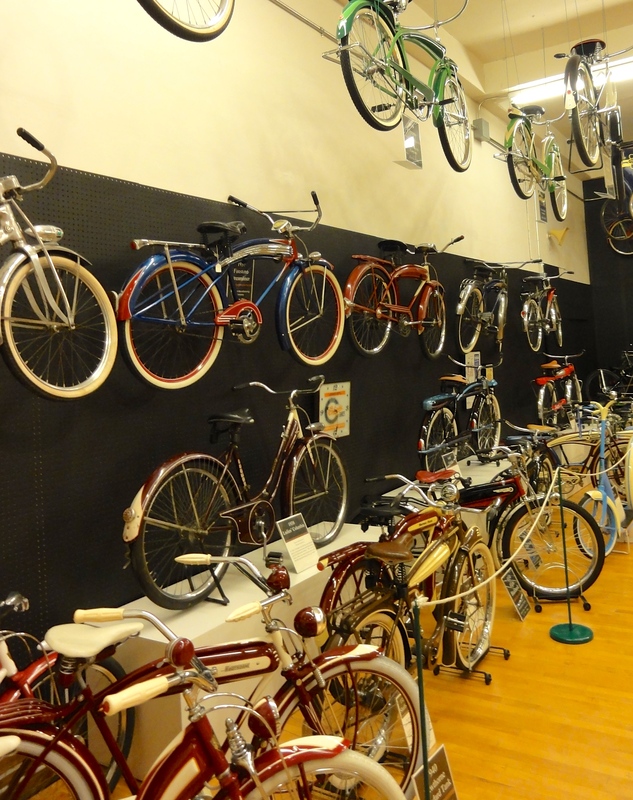 Behind the cute, unassuming storefront of the Bicycle Museum of America, multiple stories are filled to the rafters with more than 350 bicycles of all shapes, sizes, makes and models—as well as some made famous in Hollywood. There are tandems, monocycles, unicycles, penny-farthings, kid’s bikes, and racers. Rare bikes, like the “ice bike” (with skis in place of the front tire), and a fascinating folding military cycle. 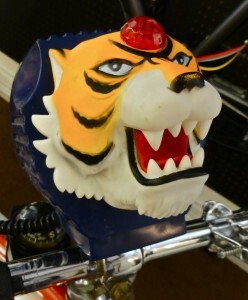 Accompanying the bicycles are displays of tools, tires, advertising, and riding gear. You’ll even see Pee Wee Herman’s legendary stolen Schwinn used in the movie Pee Wee’s Big Adventure. 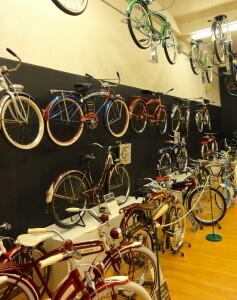 The vast stockpile of amazing bicycles at the museum began as the Schwinn Bicycle collection. 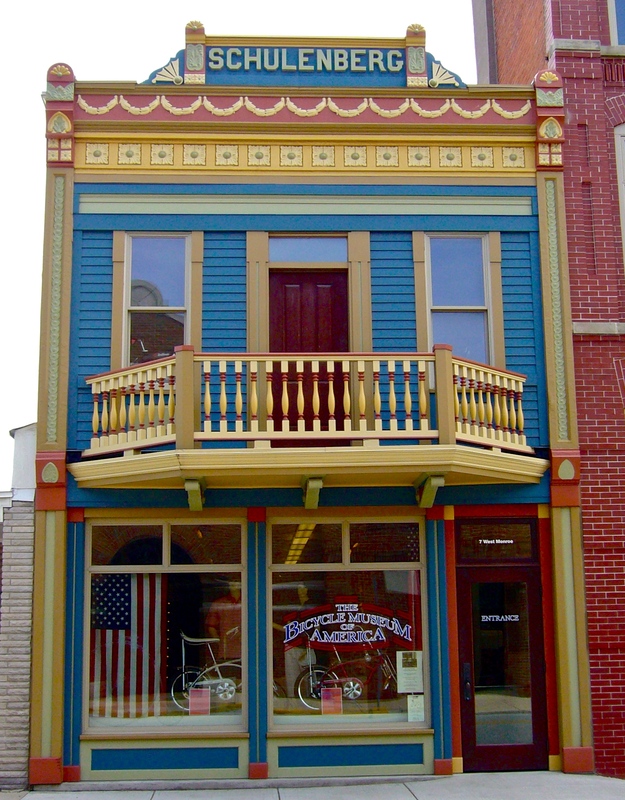 An individual (Jim Dicke II) purchased the bicycles and associated memorabilia in 1997 and moved the whole kit and kaboodle to New Bremen (only 18 miles from the Alumapalooza grounds at the Airstream factory), where the collection has grown in scope and size. 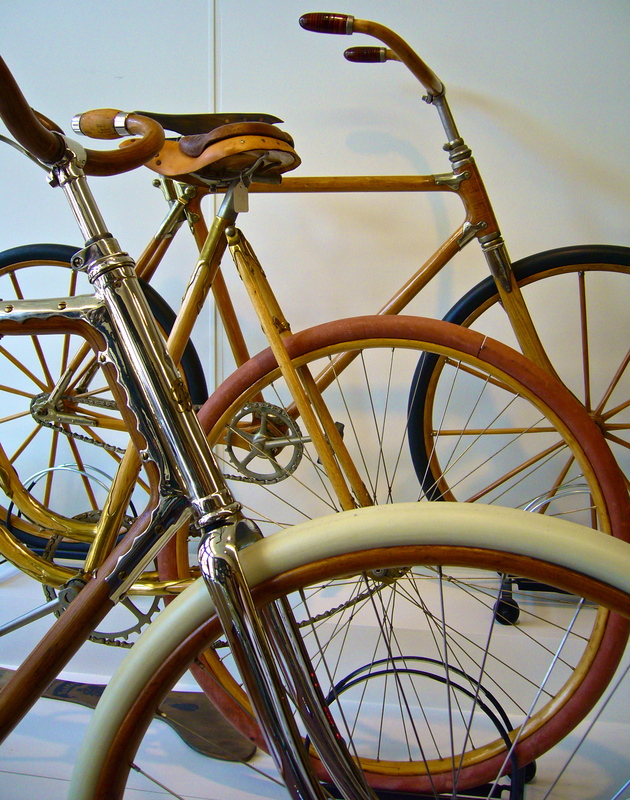 The state of Ohio holds an important role in the history of the bicycle: the Wright Brothers developed their plans for the first airplane at their bike shop in Dayton, and several prominent bicycle manufactures have been located in Ohio. Huffy (remember your banana seat Stingray?) 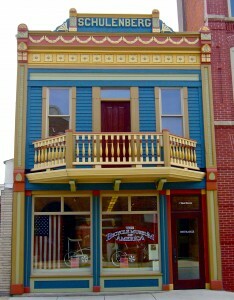 is still located there today. The sign up sheet—for this tour, and all the activities at Alumapalooza—will be easy to find at the registration table in the main tent.